Did you ever make Daisy chains? Daisies are one of the worlds most popular flowers, and is second only to the orchid family in the total number of flower species. 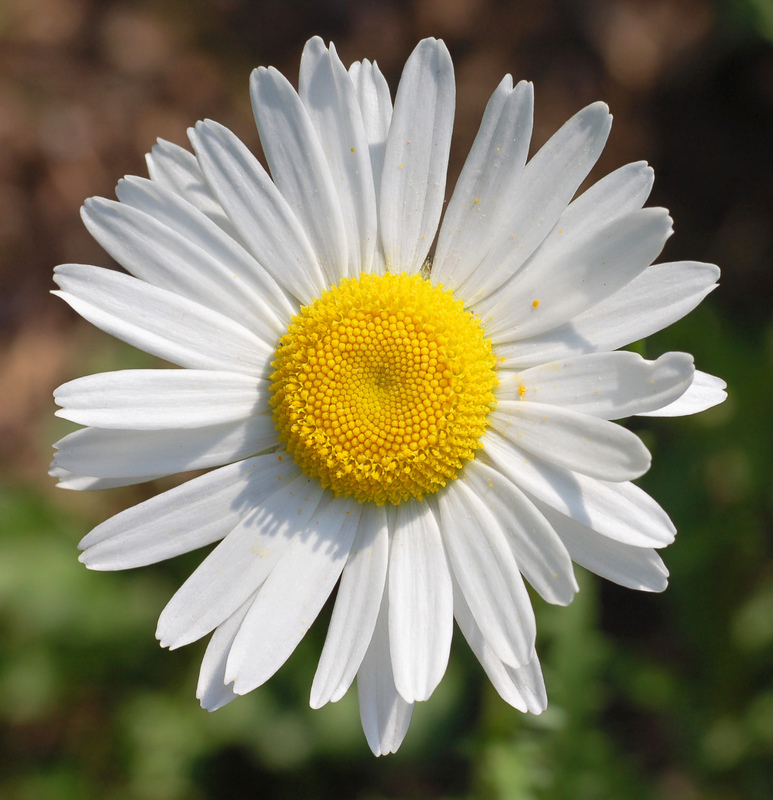 The daisy family includes aster and sunflower among its most popular flowers. Now you can crochet a chain of daisies with Maggie’s Daisy Motif free crochet pattern. 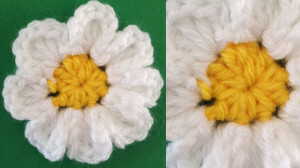 This little daisy is an easy skill project. Our sample daisy is crocheted using Deborah Norville’s Everyday Soft Worsted Yarn. 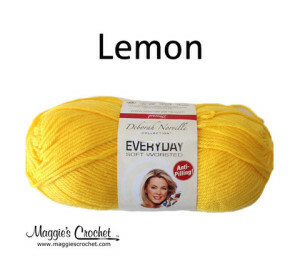 Everyday is a great all-around yarn that is machine washable and dryable for easy care. 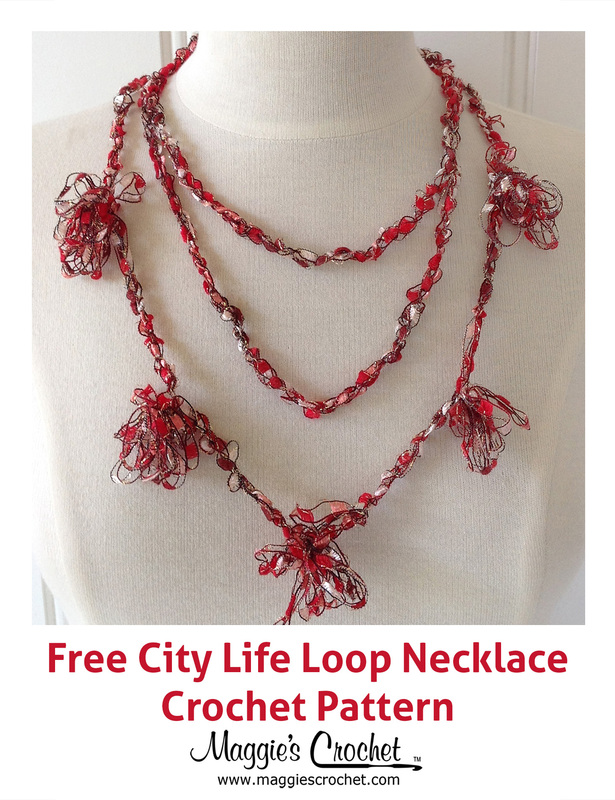 It comes in tons of colors and prints and is super soft to the touch. 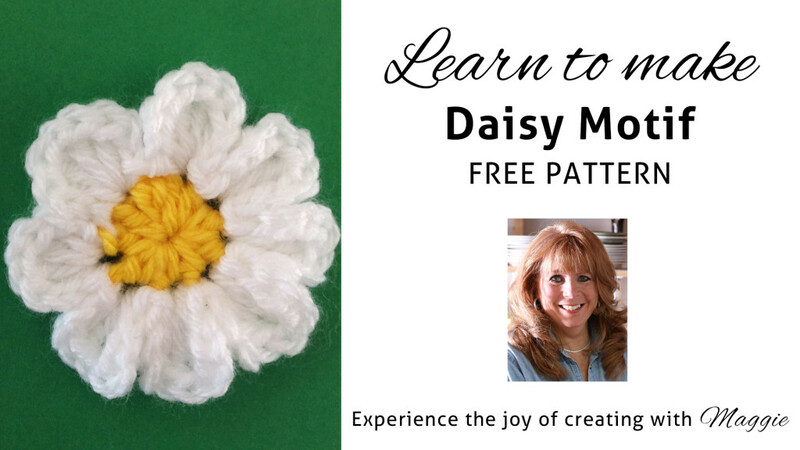 Maggie is excited to bring you seven new free flower crochet patterns: Daisy Motif, Round Center, Vicki’s Large Flower, Valentine Flower, Loop-the-Loop Flower, Morning Glory, and Lily of the Valley.